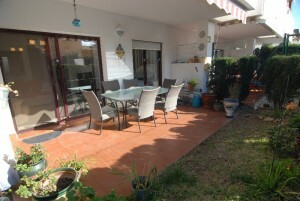 Well presented 2 bedroom, 2 bathroom apartment in Riviera del Sol, located in the Urbanization Riviera Park. well maintaned community with pool and gardens. Ideal family home. Features 24 Hour Reception, Air Conditioning Hot/Cold, Community Garden, Community Pool, Double Glazing, Easily maintained gardens, En suite bathroom, Fitted Wardrobes, Ideal Family Home, Marble Bathroom, Marble Floors, Private Terrace, Solar Power, Very Good Access, Well maintained community, Well presented.